Current global literary attention toward and appreciation of Indonesian literature is completely different from, say, 10 years ago. Hamsad Rangkuti, in his capacity as an awardee of a Khatulistiwa Literary Award, got a fellowship to go to England administered by the British Council in the 2000s. In London, he attempted to publish his manuscript, translated into English by Harry Aveling. Unfortunately, publishers turned down the manuscript. In responding to this case, an Indonesian publisher said that it was simply a matter of strategy. Others were of the notion that there was something else behind the strategy: British publishing houses were not attracted to Indonesian literature, which is often deemed to be literature from an insignificant part of the world. Going beyond marketing issues, Budi Darma, a professor of English literature at the State University of Surabaya and a senior national literary figure, named it a problem of cultural pride and prejudice. A long time ago, foreigners were generally interested only in exotic Indonesian novels written by Pramoedya Ananta Toer, Ahmad Tohari, Iwan Simatupang and YB Mangunwijaya. The current trend is the other way around. Andrea Hirata’s bestselling 2005 semiautobiographical novel, Laskar Pelangi (Rainbow Warriors), won the General Fiction Category at the 2013 New York Book Festival. It was also released as a motion picture in 2008 and has been translated into 30 languages in 100 countries. Despite the soaring trend to go international, it brings another consequence: the problem of quality and quantity. In this world laden with competition and where literature is a commodity in the context of industrialization, productivity is the main goal. Productivity without solid themes will of course crumble. This basically suggests that literary growth turns East internationally. American literature, for example, had reached its peak so that it was difficult to pinpoint rightly who actually was the great writer after Hemingway, except, probably, Saul Bellow and Toni Morrison. They were, unfortunately, according to James Atlas, actually rhetoricians. New blood is needed, and this blood must also come from outsiders. Derek Walcott from the Caribbean; Bharati Mukherjee from India are refreshing additions to the scene. Before John F. Kennedy got involved in politics, he wrote Why England Slept, pinpointing the fact Britain was undergoing decline. Even though Kennedy did not talk about literature, English literature was actually in the process of stagnancy. New blood then came, represented by Salman Rushdie and Hanif Kureishi from India, Kazuo Ishiguro from Japan, Timothy Mo from Hong Kong and VS Naipaul from Trinidad. The turn-to-East inclination of literature is also visible as many travelers and migrant authors write about other countries. Take, for example, the case of I am Malala by Christina Lamb and My Name is Parvana by Deborah Ellis. Christina Lamb is a British journalist and novelist who lived in Pakistan and Afghanistan and Deborah Ellis is a Canadian who also lived in both countries. I am Malala is about a girl, a victim of Taliban atrocities in Pakistan, while My Name is Parvana is about a girl, also a victim of Taliban atrocities, in Afghanistan. Applying a comparative approach, the findings will be the same: the cruelty to children committed by the Taliban in Pakistan from the point of view of a British author and a Canadian author. Yet the emergence of Eastern literature should not be seen as the death knell for Western literature. Rather, it refers to fresh life of globalization in that localism does not die and the aspirations of locality has become even stronger. Have a look, for instance, at the metropolitans throughout the world: each metropolitan has so-called “pockets of communities” that strive to maintain the cultural identity of the community. Unlike in the past, for instance, where writers from the UK refused to be considered English writers, because today they identify themselves as Irish, Welsh, Scottish and British writers. 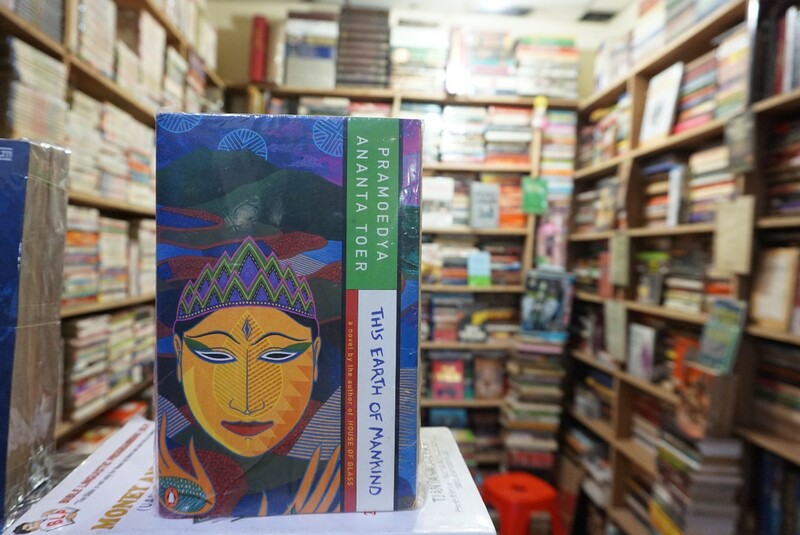 For Indonesian authors, again, the soaring Eastern literature is not surprising considering the current global appreciation for and acknowledgement of recent Indonesian authors. Along with Andrea Hirata, numerous Indonesian writers have succeeded in stepping into the spotlight for their great work, like Eka Kurniawan and Laksmi Pamuntjak. Their next challenge is how to make their work original. In The Zahir, Paulo Coelho, a Brazilian novelist, wrote that the majority of writers put more emphasis on style rather than content. As a result, their work becomes tedious just because they want to look original. Struggling for style but not for ideas is like a signpost indicating a shortage of themes. Nothing more to dig for and, thus, there is no equal balance between form and content. The writer, a lecturer at Andalas University, is a doctoral student at Deakin University, Australia.